Perhaps the most potentially compelling argument for owning a PlayStation Vita, Sony's recently renamed NGP handheld, is how beautifully it can play with the PlayStation 3. Connectivity between Sony's two consoles was driven by developers prototyping for the Vita, the company says, and may eventually lead to the system doing a fairly good impression of Nintendo's new Wii U control scheme. "It has been [an] interesting development, from the bottom up almost," says Shuhei Yoshida, president of Sony Computer Entertainment's worldwide studios, of Vita to PS3 connectivity. "We tried to have connectivity between PSP and PS3 in the past, but our developers had a little bit of a tough time [with it] other than sharing some data or to unlock something." Yoshida, who manages first-party game development for PlayStation, told Kotaku at E3 2011 that cross-platform connectivity happened without corporate directive. It was Sony's game developers who started experimenting with the possibility, somewhat to Yoshida's surprise. "The Wipeout team showed us [that connectivity] working between PS3 and Vita, and I was like 'Oh, really?'" Yoshida said, laughing. The studio currently has the PS Vita game Wipeout 2048 interacting with the already released PlayStation Network game Wipeout Fury, letting players on different systems race against one another. Another title, Ruin, which Sony unveiled at its media briefing on Monday, started its life as a PS Vita game, but the team behind that game then decided to do a PS3 version as well, exploiting the PlayStation Network's cloud saving functions. "Now we are talking about how to deliver these two different versions to consumers," Yoshida says of the games designed to work on PS3 and Vita, "hopefully, in a financially beneficial way for people who want to play on both consoles." "We didn't really push this to third party publishers, but it was people like Mr. Kojima, who came up with the intriguing 'Transfarring' system," Yoshida adds, speaking about the cross-platform Metal Gear games Konami recently announced. "He's talked about cloud gaming with Metal Gear Solid: Peace Walker and the Vita just provided that opportunity for them." Yoshida says that kind of connectivity is something Sony will rally behind. "We've been supporting it. It has been our plans to connect all the platforms through PSN." 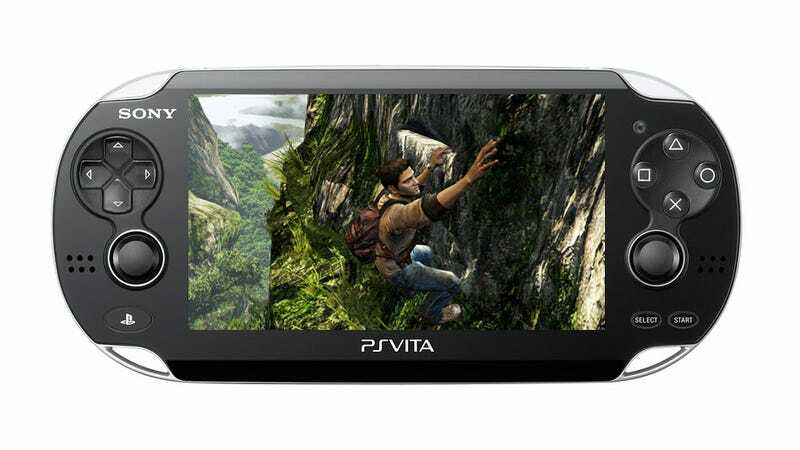 Mr. Yoshida says that type of connectivity through the PlayStation Network could also mean dual-screen experiences on the PlayStation 3, played via the PS Vita. I asked him about Sony's ability to replicate the dual-screen play of Wii U after Nintendo's media briefing and if the company's Remote Play technology could offer consumers a reasonable facsimile of that. "Remote Play, like PlayStation Network for PSP, it wasn't in the grand scheme of things when the PSP was developed," Yoshida said of the technology that streams content, including some video games, from the PlayStation 3 to the PSP wirelessly. "There are some latency issues that are natural to that system, especially going through the internet. It's very interesting how Nintendo has solved the latency issues between the second screen and the main console output." Remote Play between PSP and PS3 "works," Yoshida reminded me, but noted that because it was not a part the original design of the PSP nor was the PlayStation Network as robust as it is currently, it could work much better. "PS Vita has been designed after [the advent of] Remote Play, so going forward our design will allow developers to make connectivity easier between platforms," he said. "You know, everybody looks at what everyone else is doing, most recently with the development of casual games on tablets and iPad. It's great, it's intuitive. So [Nintendo] must have looked at what Apple has been doing," Yoshida said. "We can incorporate whatever makes sense for the system."